In 1834, when Lincoln was 25 years old and living in New Salem, Illinois, he ran for a seat in the Illinois legislature and won. After the victory, he borrowed money to purchase his first suit and took up the study of law. 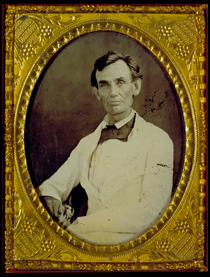 Lincoln had been a farmer, laborer, raftsman, store clerk, postman, and surveyor. But with his love of debating, storytelling, and reading, he found his calling in the law and politics. For most of his life he practiced law and remained active in politics, serving four terms in the Illinois state legislature and one term in the U.S. House of Representatives in 1847. "You should learn more than I ever did, but you will never have so good a time." Abraham Lincoln learned the law by borrowing books and training informally with practicing lawyers. He was admitted to the Illinois bar in 1836 and practiced law there for 25 years. Most of his work involved settling debts, contracts, business disputes, divorces, and some criminal cases. An occasional case would take him to a federal court or the Illinois Supreme Court. While his biggest single client was the Illinois Central Railroad, he was just as likely to oppose railroads in the courtroom as represent them. His practice allowed him to live a comfortable middle-class life and to pursue his political interests. 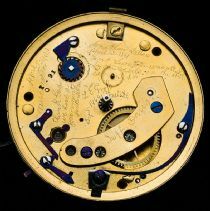 The news that on April 12, 1861, Confederate forces fired on Fort Sumter reached Washington just as watchmaker Jonathan Dillon was repairing Abraham Lincoln’s timepiece. Caught up in the moment, Dillon unscrewed the dial and engraved: “Jonathan Dillon April 13, 1861 Fort Sumpter [sic] was attacked by the rebels on the above date J Dillon April 13, 1861 Washington” and “thank God we have a government Jonth Dillon.” Other watchmakers’ markings also appear on the plate. Lincoln never knew of the message he carried in his pocket. The inscription remained hidden behind the dial. The unconfirmed story was known only within Dillon’s family...until now. 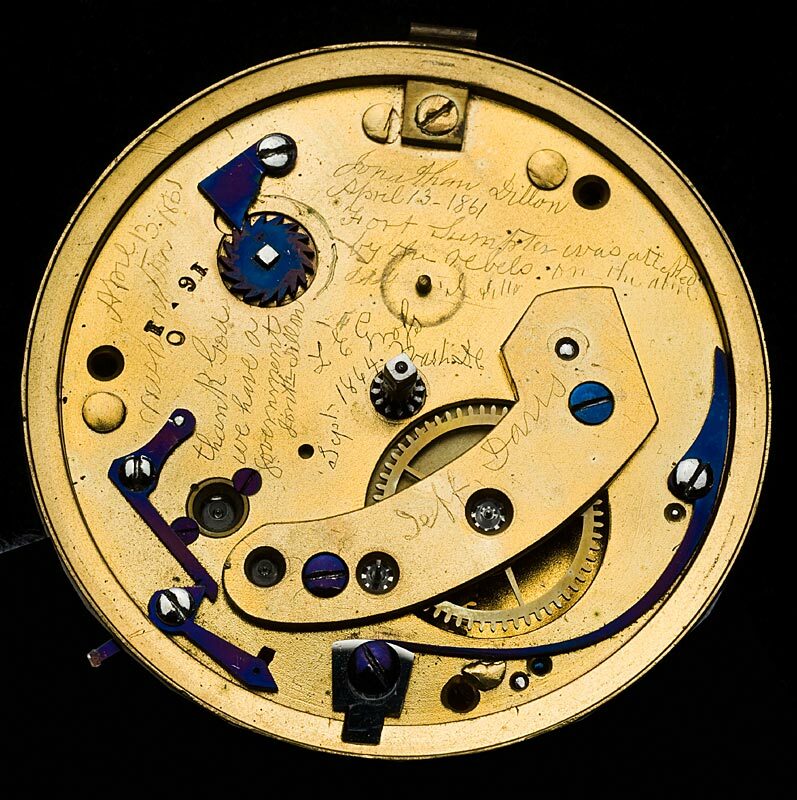 After being contacted by Dillon’s great great-grandson, the Museum removed the dial on March 10, 2009, to reveal the watchmaker’s declaration. See related video (3 minutes). Many of Lincoln’s cases were in central Illinois’ Fourteenth Circuit—known as the “mud circuit” for its poor roads. Stopping at county seats, the circuit judge and a traveling band of lawyers would quickly handle pending cases and disputes and then move on to the next town. Lincoln loved the circuit, the camaraderie, and the courtroom sparring. This wooden desk is from the courthouse in Pekin, Illinois. Lincoln and his fellow circuit lawyers shared the work space as they prepared their cases. Most of the desk is not original—only the top rail survives from Lincoln’s time. Lincoln’s English gold watch and chain were purchased in the 1850s from George Chatterton, a Springfield, Illinois, jeweler. Lincoln was not outwardly vain, but the fine gold watch was a conspicuous symbol of his success. As a young lawyer, Lincoln served as a junior partner in two firms. In 1844 he was ready to take the lead. 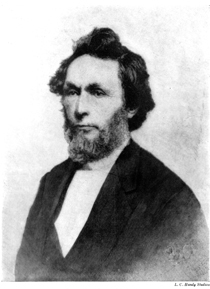 He invited a young attorney, William Henry Herndon, to form a partnership. The Lincoln and Herndon partnership in Springfield, Illinois, lasted the rest of Lincoln’s life. Sen. Everett Dirksen of Illinois purchased this desk for 10 dollars. As Republican minority leader, Dirksen played a crucial role in helping to write and pass civil rights legislation of the 1960s. 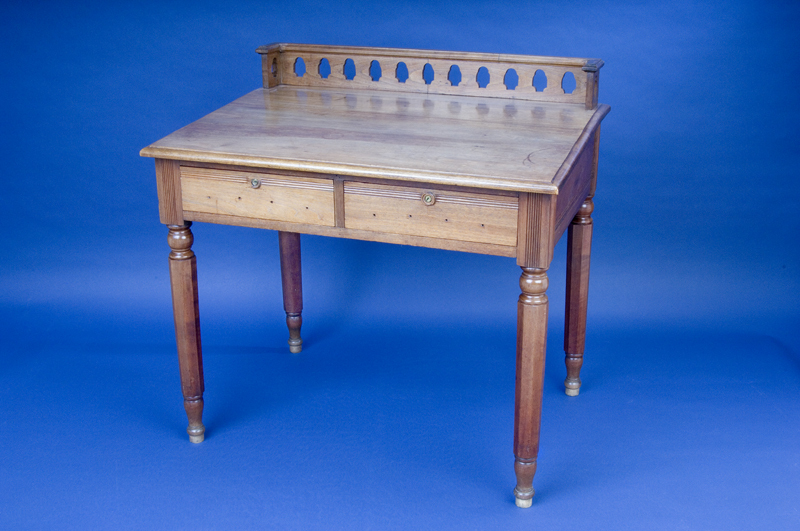 It is likely he did some of this work on the same desk once used by Abraham Lincoln.